Liz McEnaney, interior decorator and president of E. Claire Design in suburban Chicago, needed to hastily reconfigure a recent project. 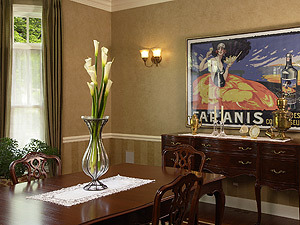 The goal had been to paper the walls of the garden room of the 2007 Lake Forest Showhouse, a noted area fundraiser. 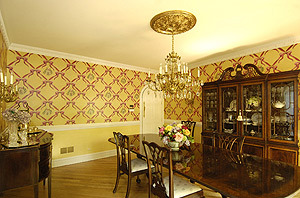 But the walls were too textured and the corners too rounded to accept wallpaper. Rather than panicking, McEnaney called on a resource she’s used many times over the 20 years she’s been in business: Hester Painting & Decorating, in Skokie, Ill.
“They’re so great with color and they take so much of the stress out of a job,” she says. Strolling through the breathtaking garden room, only the most critical of viewers would have guessed that the elegant pattern of trees, peonies and berries wasn’t papered on, but is a painstakingly painted mural. The faux art was so pleasingly deceptive that the room won placement in three glossy shelter magazines. All in a day’s work for Hester Painting & Decorating, now in its third generation of family operations. 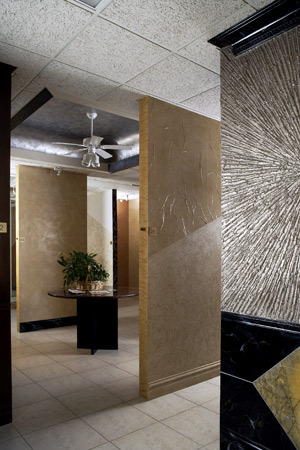 When Tom Hester started the company in 1968, he left his position as foreman for a commercial painting contractor in Chicago to work as a quality painting and wallpapering contractor and faux artist with a residential clientele. He brought two craftsmen with him. While the lack of publicity might have been a problem 30 years ago, that’s certainly not an issue today. Hester Painting & Decorating was named to House & Garden Designers’ Best of ’07 as one of the “Best in the World for Decorative Painters and Wallpapering.” The company was also recognized as “Best in the North Shore” in the House Painter category by North Shore Magazine, and it has been a recipient of the Illinois Family Business of the Year Award, given by the Loyola Family Business Center. And about that family ... Jeff, who grew up with a paintbrush in hand, holds the position of vice president. His brother, Steve, entered the family business 11 years ago with a background in real estate. With the senior Hester now in retirement, Steve serves as president. Tom Hester’s brother, Kevin, is a painter. 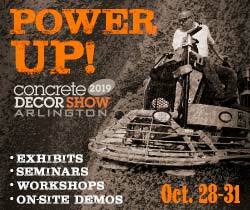 Two other brothers from Jeff and Steve’s generation worked at the company in the past, and two of Jeff’s sons are now extending the family’s responsibilities into the third generation. Perhaps the most surprising aspect of the Hester Painting story is that the painters responsible for the delicately rendered wall fashions are union guys, tradesmen who’ve come up through the apprenticeship program of the International Union of Painters and Allied Trades. You think of house painters as brawny guys with paint-splattered coveralls and three-day whiskers, but these folks can create anything, using a paintbrush, a little imagination and a whole lot of skill. There’s many a marble mantle, gold-leaf ceiling and wood grain in their collective history that were actually brush-applied. 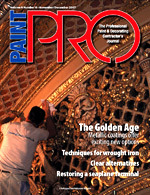 Faux finishing is taught during the third year of the union’s trade school, but only those displaying a real instinct for the process — patience, a good eye and actual talent — catch the attention of management at Hester Painting. Of about 65 painters currently employed by the Hesters, only about 15 do the specialty work that’s earned their reputation. Those 15 have helped compile a portfolio full of assignments from local and national sports, entertainment and commerce figures, but the Hesters don’t drop names. “Discretion is what our clients expect of us,” explains Steve, who nonetheless boasts of ongoing work in two 30,000-plus-square-foot homes. When pressed, his brother describes a two-year project on a private estate involving exterior mahogany refinishing, brushed glaze finishes and wallpapering inside, and custom metallic Venetian plaster in the pool area. Price tag: $390,000. Homeowners and decorators alike find inspiration at two Hester showrooms, one in downtown Chicago and the other in Skokie. Both contain some 60 4-by-8 display walls featuring an array of technique options. 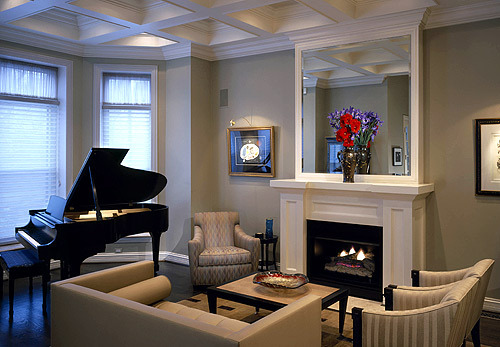 Interior designers are easy to work with since they know exactly what they’re looking for, says Jeff. Homeowners, on the other hand, might approach with a page torn from a magazine. Overglazing has also maintained its popularity. “There are endless ways you can manipulate the glaze,” says Jeff of the process of experimenting with adding color to a colorless topcoat. The Hesters drop mother-of-pearl, silver, copper or gold metallic dust into finishes as the mood takes them. “We’ve even been known to use taping compound between steps to create a shadowing effect,” says Jeff. 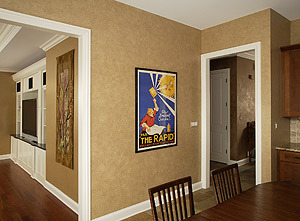 In 2002, the family company expanded into commercial painting. That’s resulted in such projects as the transformation of more than 80 Bank One branches into Fifth Third Bank locations. Proving, if any such proof is needed, that you can literally bank on the work done by Hester Painting & Decorating.